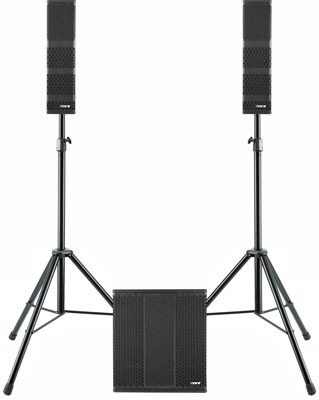 EUROPA 301 BASIC is the perfect start into the world of professional sound reinforcement without compromise. The self-powered M315SUB includes the whole speaker management and three amplifiers for superior performance. The two EX301 array speakers are ultra compact and deliver a perfect stereo sound experience.